Zoya Nail Polish | CassiGreat for summer! 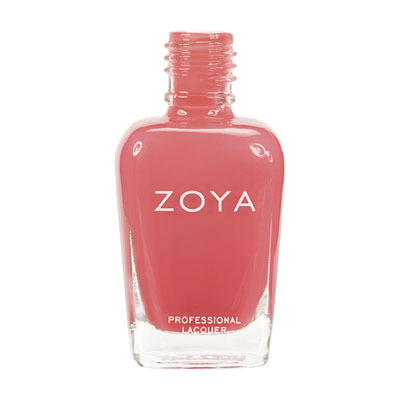 I love the reviews on Zoya b/c the color is often different. Because of the other reviews, I ordered Cassi instead of Maya and I`m SO GLAD I did. 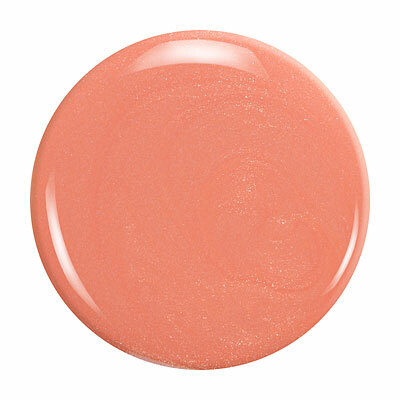 Perfect shade between peach and light coral, with nice shimmer that is not too glittery. Everyone of my co-workers asked to borrow it. Zoya Nail Polish | CassiPrettiest Spring Shade Ever! I can`t say enough about how great Cassi is. If Barbie`s cute little sister Skipper were a nail polish color, she would be Cassi. Adorable and Irresistable...half of my co-workers have already asked to borrow it! This is one of the first colors I`ve purchased from Zoya so I looked carefully for my first few. The color on this webpage is a little bolder than the actual polish is, but the color is still very pretty. Just not exactly what I expected, so I have to bump it down to a 4. Zoya Nail Polish | Cassi So pretty! Cassi is a very pretty coral pink with a feminine edge. I agree she is more sheer than a 5. She reminds me of a lighter version of Maya. The slight shimmer adds a lovely finish. My hubby even noticed this color. I think Cassi is joining my top ten favorite Zoyas. Zoya Nail Polish | Cassicassi = cute! This was a staple spring and summer color for me. The color was flattering on my NC30 skin tone. I actually love the hint of sparkle in the formula! It looked even better when I put Sephora by OPI Only Gold for Me on top. Consistency was a *tad* thicker than other Zoyas, but a drop of thinner fixed that. 2 coats for opacity. The color is an adorable coral with a slight golden sparkle, which makes it a warm-weather winner in my book, but I think the opacity is mislabeled as a 5 out of 5. I swatched them side by side, and Cassi was less opaque after each of the three coats than both Marley and Liz (both of which are marked as 4 out of 5 opacity). Cassi certainly went completely opaque at three coats, but I was a tad disappointed that it wasn`t quite as pigmented as I had expected. For how cute it looks on my toes, I`ll happily tolerate waiting for the third coat to dry! Zoya Nail Polish | Cassibest pedicure color ever! 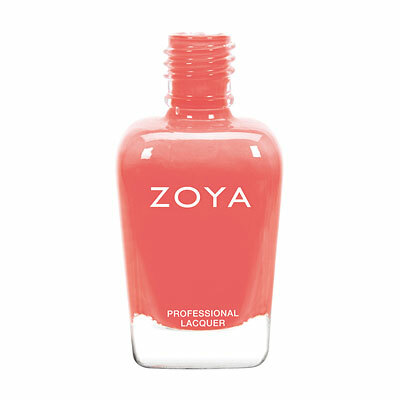 i have been wearing a french pedicure for almost ten years, but because of zoya`s fabulous light colors (specifically poppy and cassi), which are such beautiful, feminine shades - not to mention the ever so subtle micro shimmer, i have converted. i`ve been wearing cassi on my feet for six weeks now (no, not the same old pedicure, newly polished every other week!). i get so many compliments. Zoya Nail Polish | CassiCassi: One of a kind! Cassi is classy! It`s a pretty light pink but opaque and strong too. It`s a beautiful color. I love the added shimmer in the polish even though it`s a cream base. I understand how some might say Cassi is confusing in that sense but I think it makes her all the more unique! Definitely a "work friendly" color that adds a little but of sparkle. Per Zoya usual, the formula was great. This polish is a great addition to any collection! Zoya Nail Polish | Cassilove it! i`m very happy i purchased cassi :) a lovely, opaque pinky-coral that i think will go great with everything - subtle but very pretty! one of my favorites. This color is so pretty! I think Zoya has the greatest shimmers and this one is great. It`s got a perfect amount of shimmer-- its got tons of sparkle but it`s not glitter. The color is a little more pink than a coral. Its super flattering on my NC35 skintone. The formula is great too. Zoya Nail Polish | CassiBeautiful, but Confusing. Sort of a Melon/coral pink/orange with shimmer. The base is a thick cream so the shimmer, to me, is a little out of place. I do wish this polish had chosen to go one way or the other - be metallic or be a cream. Don`t try to be both. You`re confusing me Cassie!